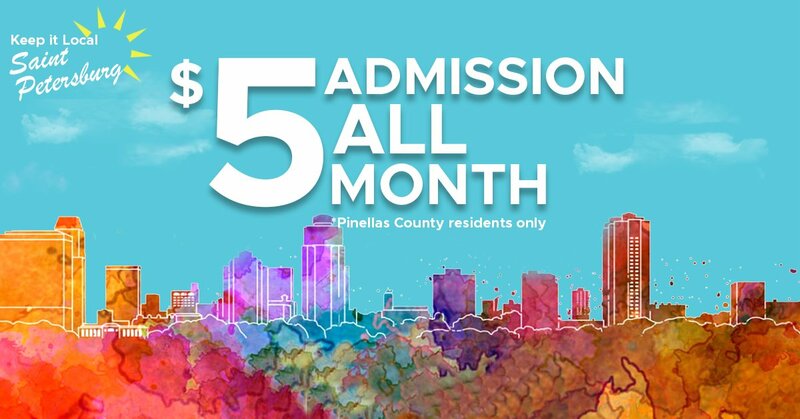 Starting August 1st Pinellas County residents will get $5 admission into the museum. Experience a Museum where creativity and innovation come together to create an unparalleled collection of over 500 world class glass sculptures. Since January 2018 Imagine Museum has displayed an extraordinary collection of American Studio Glass, rotating exhibitions, and a growing collection of premiere International Studio Glass not seen anywhere else on the Gulf Coast. Visit Imagine Museum in St.Petersburg, Florida today and be AMAZED!